En stock Seulement 4 disponible! Roues de hockey les plus durables qu'il existe. Cette roue est celle préférée des joueurs de hockey. Bref, la Pro 250 est LA roue par excellence pour le hockey sur rollers. Pour set-up Hi-Lo, il est recommandé d'utiliser des roues de diamètres 80mm et 72mm. These wheels are amazing! I purchased my first pair of skates in 1995, which I still have and use (Buy it for life! ), and still had the old Hyper wheels on them, I wanted to get similar wheels for a refresh as they were grinded down pretty badly due to hockey stops. 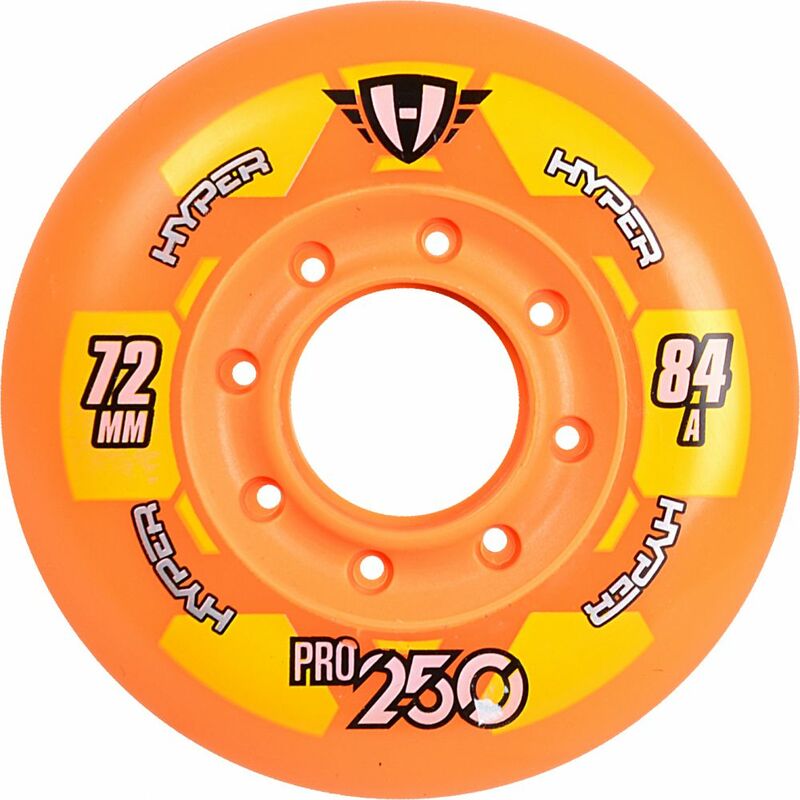 In checking local stores, no one had Hyper wheels, and I found Skate Pro carried them online, but they would take a bit to get shipped. The wait was well worth it. I was able to take out my GoPro and hit our local parking garage, where the wheels performed perfectly. They held up great to the rough concrete as well. Would definitely purchase again. Thanks SkatePro!